LOOKING FOR SOMETHING DIFFERENT THAN THE AVERAGE TRIP TO THE RIVERWALK OR ALAMO? 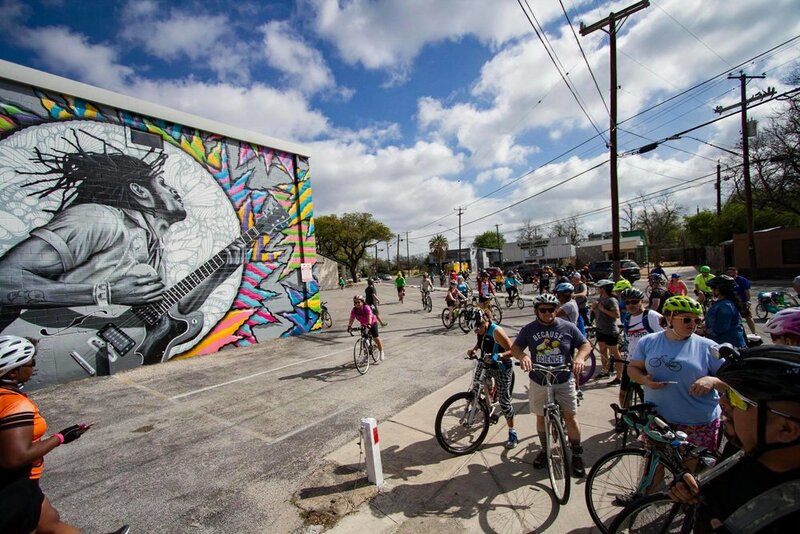 San Antonio Mural Ride will show a side of San Antonio that not even locals might know about. There are many starving artist through-out San Antonio that make their living by making this town as colorful as it can be. The bike rides will be guided by local cyclist who have a passion for not only their city but also the arts and of course, cycling. We want to thank you in advance for taking the time to check out our page and we look forward to meeting you. Here you can find out more about our fearless leaders. Go ahead and click the button below and lets get to know each other. Find out about our business, FAQs, contact info, and the latest reviews of our running tours.